Phil Klotzbach is a Research Scientist in the Department of Atmospheric Science at Colorado State University. 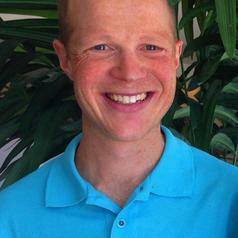 He received his Ph.D. in Atmospheric Science from CSU in 2007. Klotzbach has been employed in the Department of Atmospheric Science for the past fifteen years where he has been co-author on the Atlantic basin hurricane forecasts with Dr. William Gray. He became first author on the seasonal hurricane forecasts in 2006. Klotzbach developed the two-week forecasts currently being issued during the peak months of the hurricane season between August-October. He developed the Landfalling Hurricane Probability Webpage (available online at http://www.e-transit.org/hurricane) in partnership with the GeoGraphics Laboratory at Bridgewater State University. This webpage provides hurricane landfall probabilities for the entire United States coastline from Brownsville, Texas to Eastport, Maine as well as the Caribbean. He has published over two dozen articles in peer-reviewed journals such as Journal of Climate, Weather and Forecasting, and Geophysical Research Letters. Klotzbach graduated from Bridgewater State College with a BS degree in Geography in 1999. He then attended Colorado State University where he received his Masters degree in Atmospheric Science in 2002. After receiving his Masters degree in 2002, Klotzbach thru-hiked the Appalachian Trail from Georgia to Maine (2100+ miles). He has also climbed all 54 14,000 foot peaks in Colorado, and has completed eight marathons and five ultra-marathons.